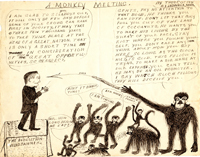 The Tennessee State Library and Archives (TSLA) is excited to present a new exhibit, “A Monkey on Tennessee’s Back: The Scopes Trial in Dayton.” The exhibit probes the history behind the famous Scopes Trial, a court case that received national attention as attorney Clarence Darrow battled William Jennings Bryan on behalf of a Rhea County teacher’s decision - prompted by the ACLU’s quest to find a biology teacher to challenge the newly passed Butler Act - to teach evolution. Without a doubt, the question, “where do humans come from?” was asked long before Charles Darwin published Origin of Species in 1859. Yet throughout the twentieth century and into the twenty-first century, the debate amongst members of the scientific and religious communities has continued to be a divisive and widely debated topic. 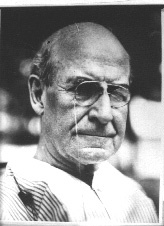 The Scopes “Monkey” Trial is perhaps one of the critical events of this controversy and one of the landmark legal decisions of the twentieth century. Through this exhibit, we consider the debate over evolution versus creationism from its beginnings to the present, but our focus is on the trial that took place during the hot summer months of 1925 in the small town of Dayton, Tennessee. Members of the scientific and religious communities have been attempting to answer the question, “where did man come from?” for centuries. Perhaps one of the most influential and well-known individuals of evolutionary thought is Charles Darwin. However, others such as Bishop James Usher are also important figures whose ideas have shaped the evolution debate. Bishop James Ussher was a prominent theologian and head of the Anglo-Irish Church during the 17th Century, who sought to establish an irrefutable date for creation. He studied many ancient books and manuscripts in order to develop a well-calculated chronology. Ussher established the date of creation as the “23rd of October in the year 710 of the Julian period” or October 23, 4004 B.C. Ussher’s chronology first began to be printed in Bibles in 1675 by London bookseller Thomas Guy. In 1701, his chronology was adopted by the Church of England. Ussher’s dates were used over the next two centuries. Even the Bible used in the Dayton courtroom had Ussher’s timeline in it. In his testimony for the Scopes trial, William Jennings Bryan referenced Ussher’s timeline when questioned by Clarence Darrow about the date of creation. William Paley was an Anglican theologian whose writings on Natural Theology dominated English thinking for nearly two centuries. He believed this theology guided researchers to the fundamental question of how life works. Jean-Baptiste Lamarck, a French naturalist, was the first person to propose the full blown theory of evolution. Lamarck claimed life was not fixed, when environments change so do the behavior of organisms for survival. The evolution of giraffes was Lamarck’s most well-known example. If a giraffe stretched its neck for leaves, a “nervous fluid” would flow into its neck and make it longer. Thus, over time, the giraffe’s offspring would inherit longer necks. Lamarck also believed organs no longer in use would shrink over time. Charles Darwin was an English naturalist who studied for the ministry at Cambridge three years prior to becoming a naturalist. He left England in 1831, aboard the H.M.S. Beagle to sail around the world to study nature. This journey included the Galapagos Islands, where he studied many animals and plants of which many of his later writings were based. Upon his return, Darwin compiled many writings and published The Journal of a Naturalist. Many years afterwards in 1858, both Darwin and English biologist Russell Wallace discovered they had independently conceived the process of natural selection. However, unlike Wallace, Darwin came up with the idea several years earlier. In 1859, Darwin’s Origin of Species was published which contained his theory of the “descent with modification.” It was not until the 6th edition of his book that Darwin substituted the widespread term of “evolution” with his preferred term “descent with modification.” In Origin of Species, Darwin centered his focus on new species which emerged over time due to having beneficial traits. The centerpiece of this theory, “survival of the fittest,” asserted animals with beneficial traits would be the “fittest” in their environment allowing them a better chance for survival. Although Origin of Species avoided the discussion of human origin, Darwin addressed it in his next big work, The Descent of Man.This work, published in 1871, made the connection between apes and humans. In 1859 English naturalist Charles Darwin published On the Origin of Species By Means of Natural Selection, a collection of scientific evidence that supported the theory of evolution. Darwin’s theory was seen by many fundamentalists as a challenge to the Biblical story of creation. The controversy over the theory came to a head in March 1925 with the passage of the Butler Act, which prohibited the teaching of evolution in any Tennessee school receiving public educational funding from state government. 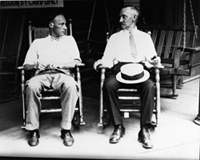 The State of Tennessee v. John Thomas Scopes, commonly called the Monkey Trial, was intended to accomplish two goals: to challenge the Butler Act, which made the teaching of the theory of evolution illegal in Tennessee schools, and to draw commercial attention to the small town of Dayton, in Rhea County. In 1925 the American Civil Liberties Union (ACLU) advertised in a Chattanooga newspaper for a teacher who was willing to challenge the act in court. Community leaders in Dayton saw the opportunity for publicity and convinced local teacher John T. Scopes to accept the A.C.L.U. offer. Offering an opportunity for two of the era’s most prominent legal minds to face off against each other, the trial became a media circus, attracting attention from around the world. On May 4, 1925, the ACLU made an offer in the Chattanooga Daily Times to finance a test case challenging the Butler Act. Community leaders in Dayton were quick to respond. George Rappalyea, head of the Cumberland Coal and Iron Company, arranged for a meeting in Robinson’s Drugstore the very next day. Present were Walter White, county of superintendent of schools; Frank Robinson, owner of the store and head of the county board of education; and two local lawyers, Sue Hicks (a man named after his mother) and Wallace Haggard. After being turned down by the regular high school science teacher, the group sent for 24-year-old John T. Scopes, who had just completed his first year of teaching math, physics, and chemistry (but not biology). Scopes did not recall teaching the theory of evolution but agreed to help with the case. Scopes was arrested on May 9 and released immediately on bond. After a grand jury indictment on May 25, Tennessee v. John T. Scopes was scheduled for July 10, 1925. 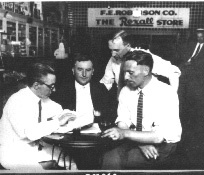 The plan to bring the trial to Dayton was hatched at the table in the picture, where members of the school board met with John Scopes. Shown are George W. Rappalyea, Walter White, Clay Green, F. E. Robinson and Owen Wasson. Bryan and Darrow were powerful speakers and long-time adversaries, so the trial was bound to be dramatic. William Jennings Bryan had been a three-time candidate for President, served in the US House of Representatives, and was a former Secretary of State. Darrow was a high-profile defense attorney who had won victories in a number of capital cases. The Scopes Trial quickly became a contest between the concepts of creationism and evolution or, more simply, religion versus science. On Day Seven, the July heat was so sweltering in the courtroom that the trial was ordered outside. Darrow, ever the dramatist, made the unusual move of calling Bryan to the stand. By questioning Bryan directly in court, Darrow controlled the line of questioning and managed to define the defense arguments. Though the testimony was later stricken from the record, Darrow was able to broadcast the theory of evolution to a national radio audience. Bryan never got the opportunity to make a grand summation, since Darrow changed his client’s plea to “guilty” the following day. Dayton reveled in the publicity that came with the “trial of the century.” Charles Darwin had theorized only that man and apes had a common ancestor, not that man had descended from apes. 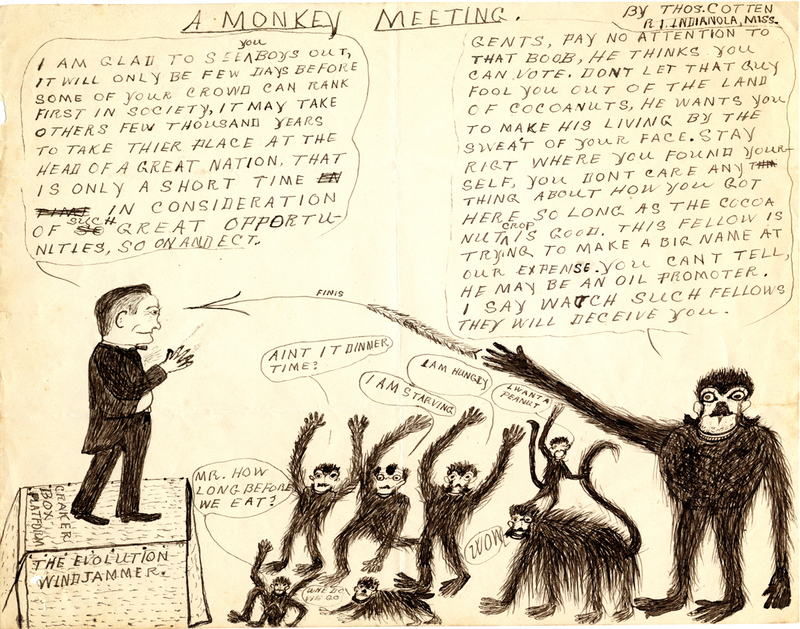 This popular misconception gave rise to a flurry of monkey-themed songs, dolls, and souvenirs. The Dayton Hotel placed a gorilla display in its lobby, and a trained chimpanzee named Joe Mendi entertained spectators around town. Book, food, and souvenir vendors vied with local clergy and itinerant preachers for space outside the courthouse. 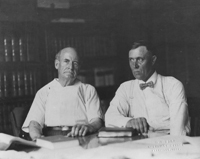 Scopes Trial Jury, 1925, Looking Back at Tennessee Collection Shown are Bluch Harris, Judge John Raulston, W.D. Taylor, Jesse Goodrich, Jack R. Thompson, William G. Day, R.L. Gentry, John Wright, R.D. West, W.D. Smith, James W. Riley, John W. Dagley, and John Bowman. Scopes was found guilty and fined $100 for violating the Butler Act. Despite the media hype, the verdict was something of an anticlimax, and the “Monkey Trial” began to fade into relative obscurity. In a sense, both sides won. The jury sided with Bryan, but Darrow managed to bring widespread attention to the theory of evolution. Fascination with the trial and its central issue continued unabated for decades. Inherit the Wind, a drama based on the trial, premiered on Broadway in 1955. It brought new life to the controversy. The film version, starring Spencer Tracy and Frederic March, opened to movie audiences in 1960. The Tennessee Supreme Court case narrowly upheld the constitutionality of the Butler Act in 1927 but reversed Scope’s sentence on a technicality. Four decades after the Scopes Trial, the Tennessee General Assembly repealed the Butler Act, allowing teachers to introduce evolution as legitimate science theory. Dayton, in Rhea County, quietly returned to normal life once the bible salesmen, protesters, souvenir hawkers, and reporters left. Tourists and curiosity seekers still visit the town in East Tennessee that was the site of a national debate nearly 80 years ago. William Jennings Bryan, “The Great Commoner,” died of a stroke in Dayton only five days after Scopes was found guilty. The stress of the trial, the excessive heat, and a history of diabetes probably contributed to his death. 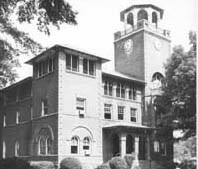 Bryan College, a Christian liberal arts school in Dayton, is named in his honor. 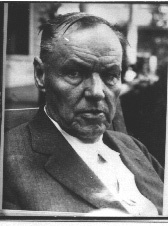 Clarence Darrow appealed the case to the Tennessee Supreme Court but largely withdrew from public life after the Scopes Trial. He published his autobiography in 1932 and died six years later at the age of 80. John T. Scopes, never comfortable in the limelight, left teaching altogether. After completing a master’s degree, he became a professional geologist and worked in the oil industry. He lived to see the Butler Act repealed and died in 1970. Joe Mendi, the chimpanzee, disappeared from the record. It is likely that he would have denied relationship to any of the humans involved in the Scopes Monkey Trial. United States Supreme Court strikes down all remaining state anti- evolution laws as being in violation of the Establishment Clause in the Bill of Rights. 1987. June 19 – In the case Edwards v. Aguillard, the United States Supreme Court bars the inclusion of creation science in public school curricula as a violation of the Establishment Clause in the Bill of Rights. 1990. The Discovery Institute, a leading force in the “Intelligent Design” movement, is founded in Seattle, Washington. 1996. October 22 – Pope John Paul II confirms a previous papal encyclical, Humani generic (1955), stating that the theory of evolution can be compatible with Roman Catholic doctrine, as evolution accounts for physical changes but does not account for the presence of an immortal soul in each human being. 2004. October – A school board in Dover, Pennsylvania, mandates that district science teachers read a statement about intelligent design before beginning any instruction on evolutionary theory. 2005. September 26 – Local parents challenge the legality of the Dover Board of Education’s pro-intelligent design actions in the case Kitzmiller et. al. vs. Dover Area School District et. al. November 7 – The Kansas state board of education issues a statement encouraging public school teachers to challenge the theory of evolution and offer students optional self-study on intelligent design. November 8 – All eight members of the Dover, Pennsylvania, school board that supported the adoption of a policy mandating the reading of a statement about Intelligent Design in high school biology classes lose their seats in school board elections; they are replaced by a slate of candidates who ran on an anti-ID platform. December 20 – In the Kitzmiller case, federal district court judge John E. Jones III rules that intelligent design does not meet established scientific criteria; mention of intelligent design in public schools therefore violates the Establishment Clause in the Bill of Rights.